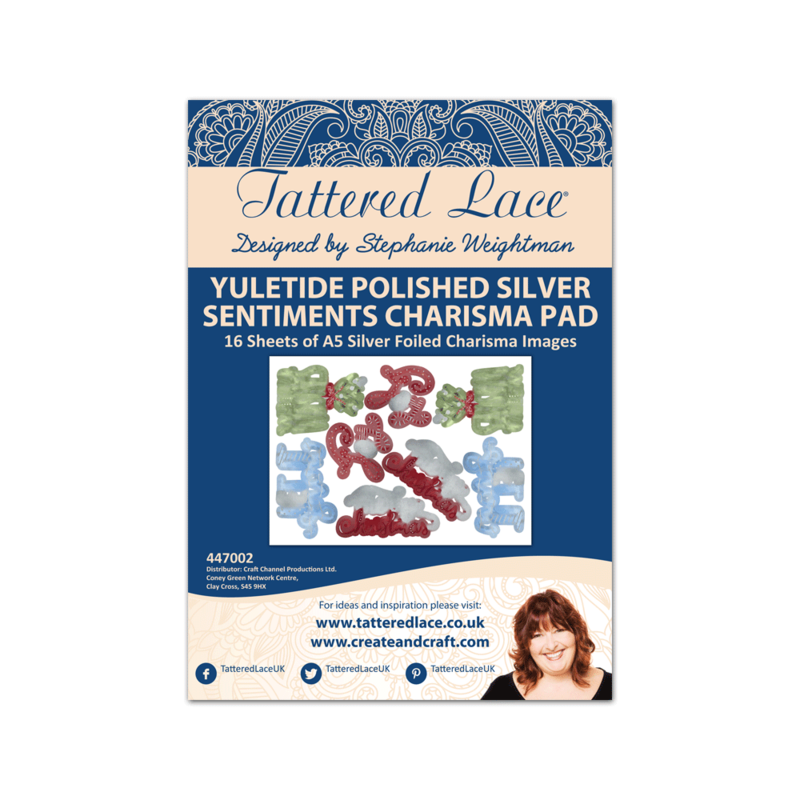 This fantastic Yuletide Polished Silver Sentiments Charisma Pad features Charismas that match the Yuletide Polished Silver Sentiments Die Set, including 4 different background papers and 4 pages of Charismas for the sentiments. The Charismas are foiled, giving a fabulous seasonal effect. Sentiments include “Let it Snow”, “Warm Wishes” with a sprig of mistletoe, “Merry Christmas” and “Joy”.